Everyone is invited! Community Christmas Buffet Dinner for a gold coin donation. 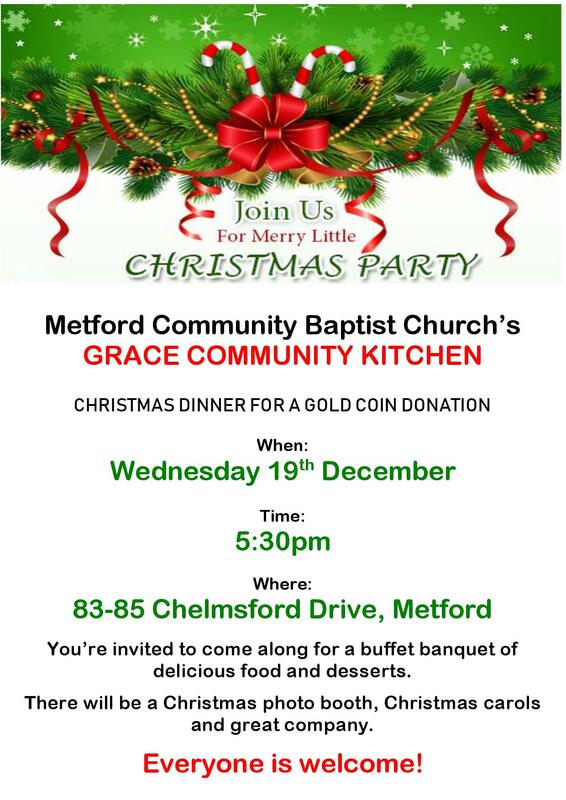 Wednesday 19th December at 5:30pm at Metford Community Baptist Church - 83-85 Chelmsford Drive, Metford.